HONOLULU - The world’s largest living primate has been listed as critically endangered, making four of the six great ape species only one step away from extinction, according to a report released Sunday at the World Conservation Congress in Hawaii. 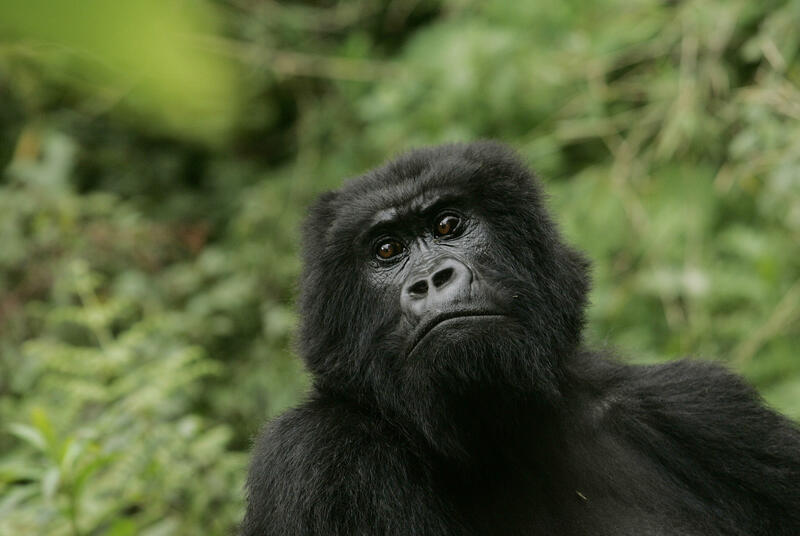 Of all the great ape species - the eastern gorilla, western gorilla, Bornean orangutan, Sumatran orangutan, chimpanzee and bonobo - only the chimpanzee and bonobo are not considered critically endangered. But they are listed as endangered. “There are no simple solutions right now, other than a much greater investment in on-the-ground protection until the region stabilizes, at which time major ecotourism, as is happening in the neighboring countries of Uganda and Rwanda, can take place,” Mittermeier said in an email to The Associated Press.